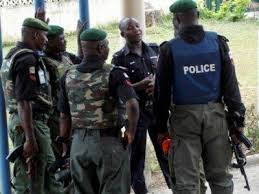 LAGOS—Vivid details of the role played by the police in Rivers State during the aborted arrest of a judge of the Federal High court in Port Harcourt, in the early hours of Saturday emerged yesterday, after sources disclosed that the Directorate of State Services, DSS, in the state informed the Commissioner of Police about the operation before it started. It was gathered that the DSS in the state had earlier called to inform the Commissioner of Police, Francis Odesanya, that his men were going to effect the arrest. The police boss reportedly complied accordingly by directing his men to cooperate and give them all necessary support. According to police sources, it was in the early hours of the morning and nobody would have been expected to open his doors freely to visitors, so, the judge refused to open his doors to DSS officials. The source said: “The DSS office shares the same fence with that of the judge. If they had wanted to accomplish the arrest successfully without much fuss, there are many options left for them. ‘’They should have either scaled the fence to enter the compound or gone with the necessary instruments for the operation. ‘’The governor arrived there with a retinue of members of his cabinet and members of the House of Assembly. While the DSS operatives were dilly-dallying, the governor and his team started obstructing them. “When the situation was getting intolerable around 1am, the Commissioner of Police arrived the scene. He spoke with the DSS boss and later went to persuade the governor to allow them do their work advising that if there was any breach, it should follow due process later. ‘’The commissioner of police reportedly insisted that the governor should not obstruct justice. When the governor refused to give way, the police boss ordered his ADC to move away from the scene and he complied. ‘’The DSS attempted to move in but the governor, again without his ADC and other policemen that accompanied him who were obeying the Cp’s order, started obstructing them.” This, according to sources, was the stand-off until around 4am when journalists and other interested parties arrived.